A new partnership/working agreement has been agreed between the British Karate Federation and GB Taekwondo, which is supported by UK Sport. The partnership between BKF and GBTKD presents an exciting opportunity for both parties to share expertise, learn from each other and ultimately support talented karate athletes to achieve their performance potential. Under this agreement BKF athletes will have access to the training facilities, medical and performance analysis expertise available at the National Taekwondo Centre in Manchester. With five medals from the last two Olympic Games, including double gold for Jade Jones, GB Taekwondo’s World Class Performance programme boasts a track record for delivering success at major international tournaments. 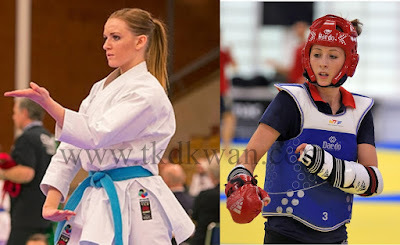 This consistency of high level attainment was underlined when Bianca Walkden retained her title and four team mates also won medals at this year’s World Taekwondo World Championships in South Korea. Now, Gary Hall, GB Taekwondo Performance Director, believes karate, and world champion, Jordan Thomas, in particular, can benefit from the systems and training methods established at taekwondo’s National High Performance Centre in Manchester. “There are a lot of quality athletes in karate with Jordan Thomas, the European and World champion, at the centre,” says Hall. Hall also sees parallels with the exciting development plans for karate and taekwondo’s own growth spurt from humble surroundings in Loughborough. Excellent. I hope that TKD gets back to old school sparring like Karate has.